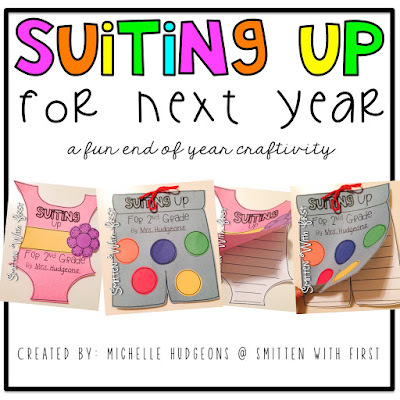 Blog Hoppin': Suiting Up for Next Year! Hi y'all! It's Michelle Hudgeons from Smitten With First! Well, I don't know about y'all, but the official countdown has started in our room! 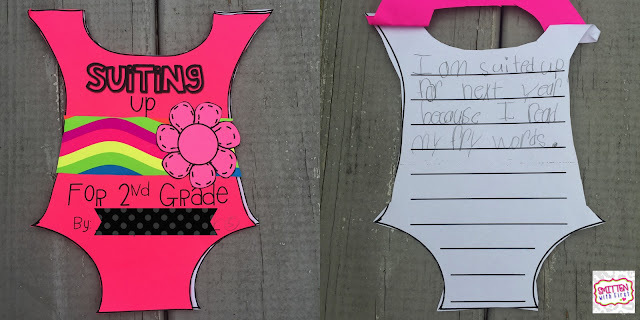 #9moredays!! 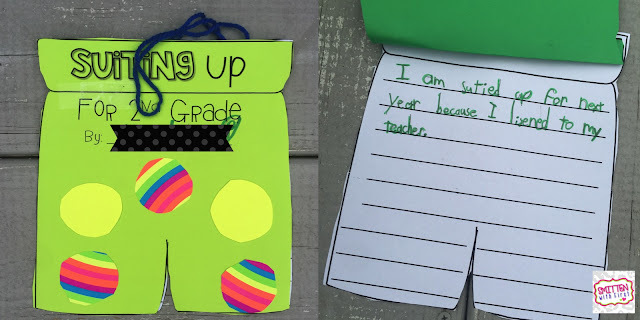 I cannot believe summer is right around the corner! 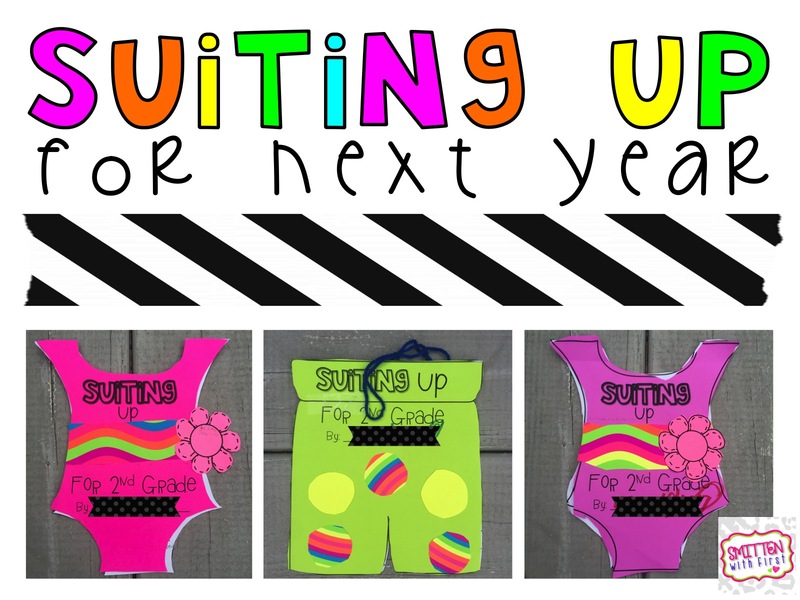 We have had lots of conversations about how we are "suited" up and ready for summer AND 2nd grade! Today, we made a list on the board of all the things we have done this year to prepare ourselves for the next grade. Afterwards, each student chose one thing that they really felt like helped them "suit" up for 2nd grade. 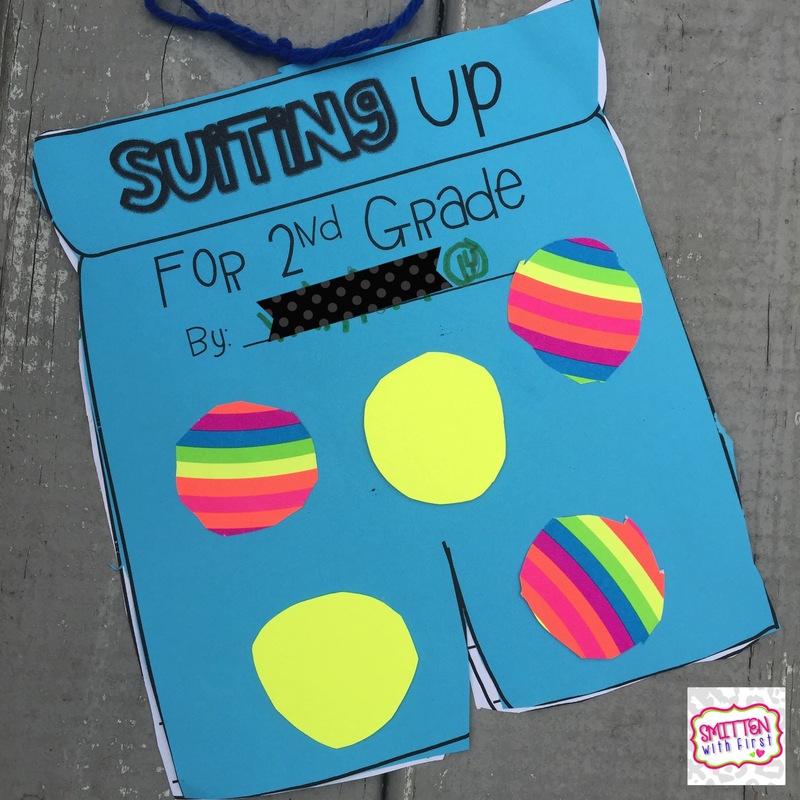 After they completed their writing, they decorated their suits! They thought these suits were too funny! I always love how they turn out. 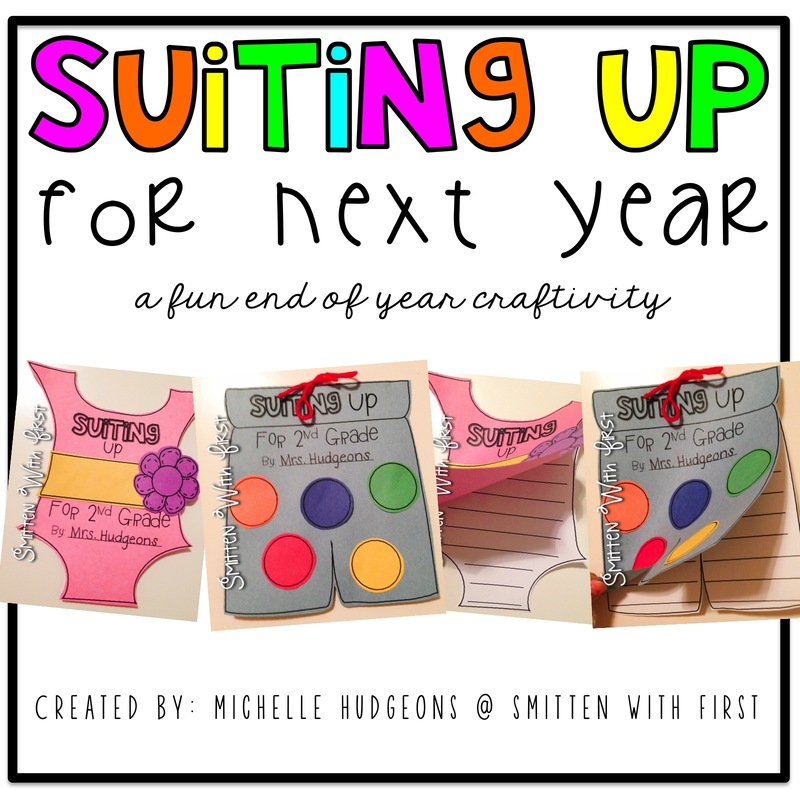 You can find the suit craftivity here.